Home / General / 10 tips on how to keep a healthy teeth! 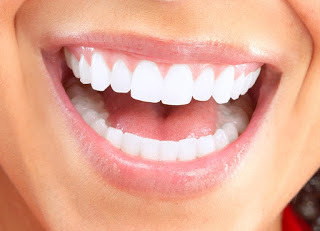 10 tips on how to keep a healthy teeth! We already know that brushing our teeth at least twice a day is essential as part of our daily routine. Besides, good oral hygiene and regular visits to the dentist, there are many things you can do every day to improve and keep your teeth healthy. •Brush at least twice a day, preferably after meals and before bed. •Floss your teeth at least once a day using slow and gentle sawing motion. •Use fluoridated toothpaste that can help prevent tooth decay. •You should change your toothbrush about every three months, or sooner if the bristles are frayed. •Eat a balanced diet that includes plenty of fruits and vegetables. •Include sources of protein such as meat, eggs, fish, beans, dairy foods (ideally lower-fat options) and other non-dairy sources of protein. •Limit sugary, acidic foods and drinks to prevent tooth decay. •Drink tea – both black and green tea contain polyphenols, or compounds that can destroy or limit bacteria growth, according to the University of Rochester Medical Center. Drinking tea can help prevent bacteria from producing acid that contributes to tooth decay. •Chew sugarless gums after a meal can help to keep your mouth moist as well as stimulates saliva production, which washes bacteria away and neutralizes acids. •Do not smoke or use smokeless tobacco as it can stain your teeth,cause bad breath, increases your risk of gum disease and oral cancer.